Data locality optimization in parallel systems is a non-trivial task. This task is typically done by the programmer: based upon an exhaustive analysis of an application’s run-time behavior, data access and distribution is re-modeled manually. Once the system, application, or just the input data set changes this effort has to be repeated. Ideally, this task can be automated which requires introduction of Self-X qualities into the system. 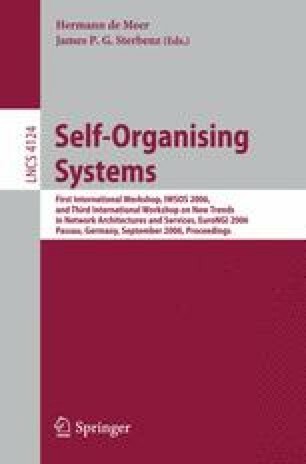 We developed an architecture concept for self-organizing parallel computer systems. This architecture is based on two main principles which are flexible monitoring to instantiate self-awareness, and adaptive components for all aspects of self-configuration. It is completed by a self-awareness mechanism, the autonomic planning. These Self-X properties pervade all system layers. Based on this architecture concept, we implemented an autonomic data locality optimization system. With the achieved results presented in this paper we successfully demonstrated suitability and applicability of the architecture concept and were able to highlight the benefits of autonomic data locality optimization.